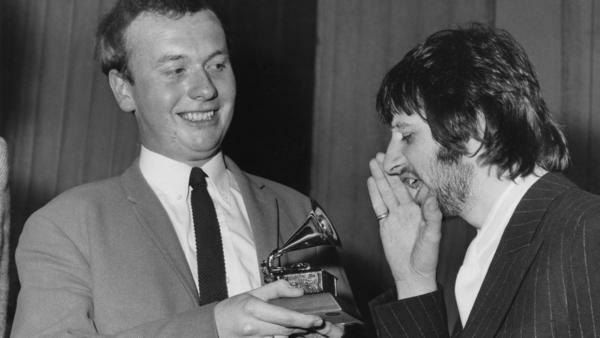 Geoff Emerick, left, with Ringo Starr in 1968. Emerick had just won a Grammy for his work on Sgt. Pepper's Lonely Hearts Club Band. 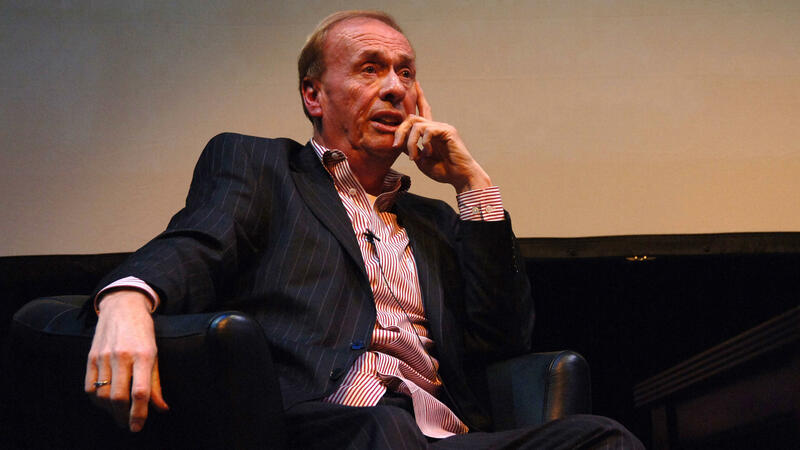 Geoff Emerick at the University of The Arts in Philadelphia, 2006. Emerick, born Dec. 5, 1945, grew up in the London suburb of Crouch End after he and his family were displaced from Central London by the bombings of World War II, as he recalled in his book Here, There and Everywhere. At age 6, he discovered a trove of his grandmother's old gramophones tucked away in the corner of their house. "Instantly, rapturously, I was in love," he wrote. Near the end of secondary school, Emerick had zeroed in on the studio as the place where he would make his career and his contributions to music, and secured a job interview at Abbey Road. According to The Complete Beatles Recordings, one of Emerick's first studio encounters with The Beatles was working as a tape operator on Feb. 20, 1963 — a Wednesday during which the group recorded takes of "Baby It's You" and "Misery." For two years after, Emerick sporadically continued in that role, until April 6, 1966, when he graduated to engineer, replacing Norman Smith. "The studio manager called me to his office and asked whether I'd like to be the Beatles' engineer," Emerick recalled. "That took me a little bit by surprise! In fact it terrified me. I remember playing a game in my head, eeny meeny miney mo, shall I say yes, shall I say no? The responsibility was enormous but I said yes, thinking that I'd accept the blows as they came..."
From there, Emerick would become central to The Beatles' famously inventive and exploratory studio work — Abbey Road was nearly named Everest, after a pack of Emerick's cigarettes — working aside producer George Martin. Some of those tricks included speeding up McCartney's voice on "When I'm Sixty-Four" (to give his voice a spritely, wistful sound) and splicing together two takes of "Strawberry Fields," at John Lennon's request. "When [John Lennon] came up, I stood in front of the tape machine so he wouldn't see where the edit was, and he couldn't hear where the edit was. So it was perfect. It was just magic at the time," Emerick told Vulture in an interview last year. "I read something just this morning where Geoff Emerick was saying that he and George Martin could sit and not say anything throughout a whole session and people would think they were very weird," Paul McCartney recalled in The Complete Beatles Recordings. "It was just that they read each other. It was the same thing with me and John." Emerick would go on to record with a number of classic artists, including Kate Bush, The Zombies and Elvis Costello. He was awarded four Grammys as well: Two for his work with The Beatles (on Abbey Road and Sgt. Pepper's Lonely Hearts Club Band), one for Paul McCartney & Wings' Band On the Run, as well as a technical award, given to those who have "dramatically pushed boundaries" in the field of recording. Giles Martin, George Martin's son, called Emerick "one of [the] finest and most innovative engineers to have graced a recording studio. I grew up with him as he worked so much with my father. We have all been touched by the sounds he helped create on the greatest music ever recorded."